The Lemoore Chamber of Commerce invites our members as well as those interested in joining the Chamber to Chamber University. Whether you're a new member in the Freshman Class or a seasoned veteran in the Senior lass. 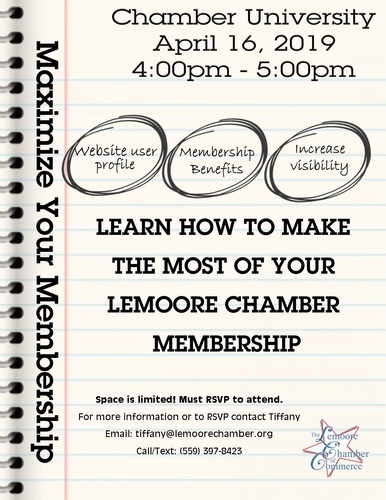 Come out as Amy and Tiffany discuss how to maximize your membership! Space is limited. Must RSVP to attend.